The dried flower buds of the clove tree, considered to be a pungent spice with a very distinctive taste and aroma. Cloves are widely used in cooking to flavor sweet and savory dishes alike. Cloves are available whole and in powdered form. The oil of cloves can be used to create a flavor similar to vanilla, but is more often used in cosmetics, aromatic decorations such as pot-pourri and to ease toothache. 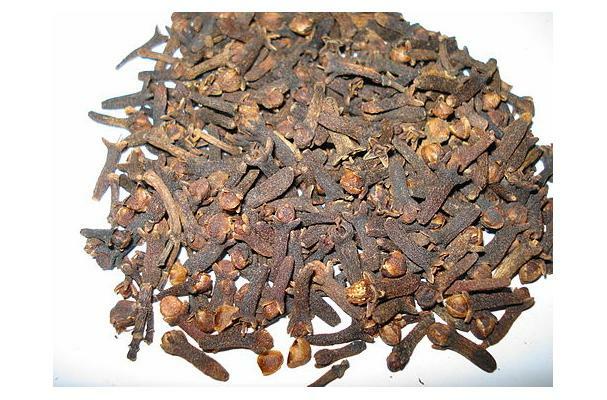 The oil of cloves is a natural anesthetic in the mouth and can be used to sooth a cough or injury. Often associated with sweet dishes in the United States, cloves are also used in savory preparations, especially curries in many parts of the world.